Now that the use and constructions of all the tenses of the Indicative mood have no more secrets for you, it’s time to really nail the concepts by practicing with a longer story, featuring all kinds of fun idioms and more advanced expressions. The Q&A section will then help you test your understanding, but also practice speaking out-loud using the right tense. 10 Hours 51 min of story chapters + study guide + grammar and vocabulary exercises – all professionally recorded by a Parisian native + 255 pages PDF/epub transcript. The latest app is easy to use and much faster. I downloaded and unzipped it in about 5 minutes. I enjoy the story because my grand-daughters are the same age as the characters and have similar conversations in English. It was very easy to change from ‘slow’ to ‘street’ French. I had a small glitch with the app. Olivier came to the rescue and advised me to delete it and re-install it. As I am ‘ancien’ and not tech savvy his advice was very welcome and everything now works perfectly. I adore Paimpol to which I used to sail. For several years, I have stayed with Suzanne and Peter at Jugon les lacs, who are excellent hosts of French today though Suzanne works you very hard. Having already bought and studied AMP Levels 3&4, I soon brought this as a bundle with AMP Level 5 (and most of Camille’s other audio books). I’ve found them fantastic – Camille explains grammar points really well, the study guides are brilliant, and the stories are fun and engaging and pack in a lot of vocabulary and grammar almost without you noticing. These are the best audio books for adults learning French that I’ve come across (in several years of trying different ones out) and I’d recommend extremely highly!! There are not enough *starts* to indicate the greatness of this resource! I have been following Camille’s audiobook series from the beginning, recently adding levels 5 and 6 to my ‘bookshelf’, and I am really enjoying the progression. Compared to some of the lower levels, which ‘teach’ specific grammar structures (e.g. verb tenses, agreements, use of various pronouns, direct/indirect objects, etc), level 6 has a greater emphasis on vocabulary and expressions, while making use of the grammatical features that should already be familiar. What I particularly like about this series – in addition to the engaging story and characters – is that I can return to each chapter on many different levels. For example, I often listen to a chapter or two while walking the dog, using it largely as comprehension (in which case I don’t get too concerned if I don’t catch every nuance, so long as I can keep up with the gist of the story). Then I try to return to the topic in a more rigorous and studious manner later. I use these audiobooks, the French Today website, and blog to supplement French classes that I have been attending for the past 18 months or so. On numerous occasions, if I am unsure about a particular language construction, I’ve found the answer is addressed in this content with a simple and practical explanation. I can’t recommend this series highly enough. About the best there is for gaining the ‘ear’, the cadence and timing tuning one’s ear to a realistic conversation in French. Love this audio book! Great way to learn or refresh French!! Fun and informative- we’ll done! I bought Levels 5 & 6 – both excellent products. 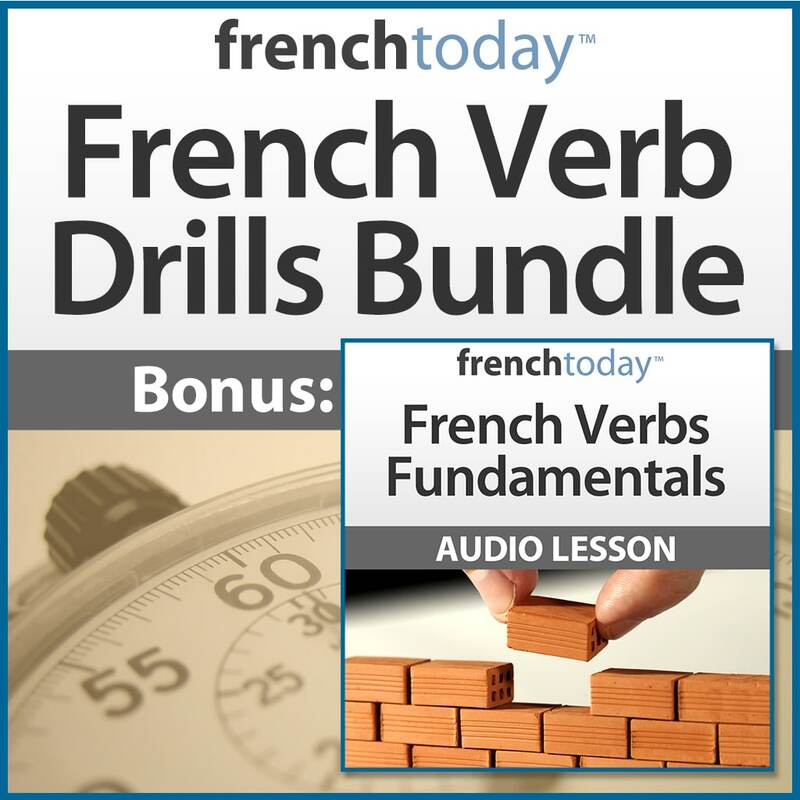 The audio clips are great for improving listening skills and practising spoken French. The whole package is full of useful language tips from grammar to usage; in fact they cover practice in all essential language skills. I wouldn’t hesitate to recommend this series. 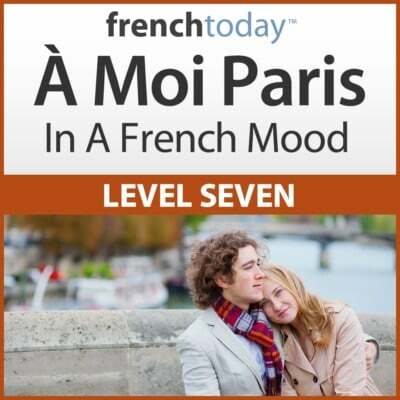 I love FrenchToday’s blog and the audiobooks! Camille really understands the questions English learners have and is able to teach a lot of new phrases and vocabulary within the right context by using stories. It is extremely helpful to have both the slow and street French recordings to listen to, as well as all the transcriptions. I have learned so much and I feel my French is becoming more natural as I hear the dialogue within her stories (especially since I lack a community of French people to learn from). Camille has a beautiful diction in the recordings as well and is a pleasure to listen to! 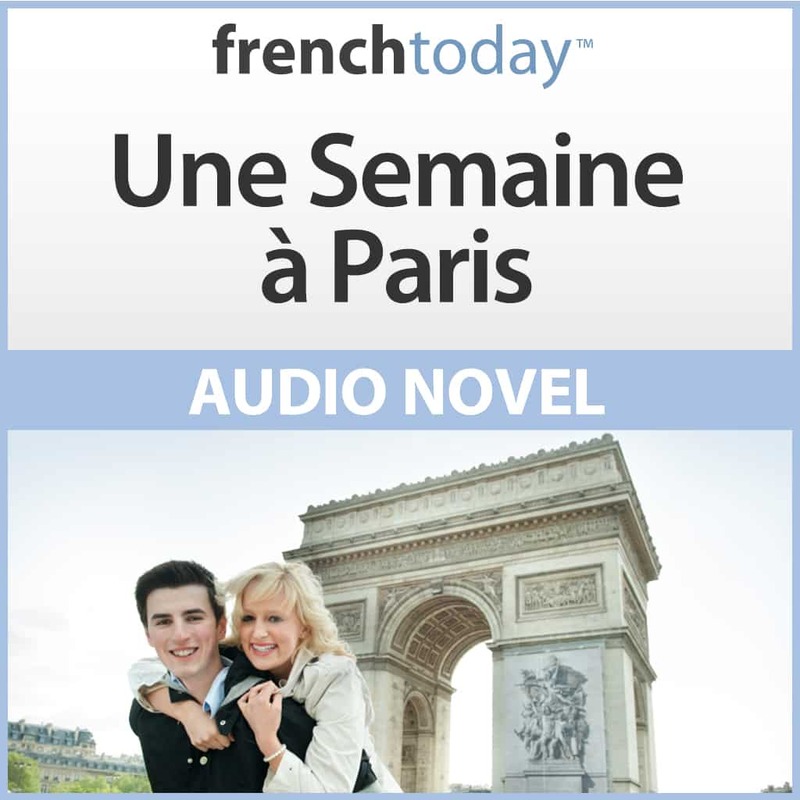 The convenience of being able to listen anywhere and anytime you want, with FrenchToday’s audio books, is perfect – one can start where they left off. 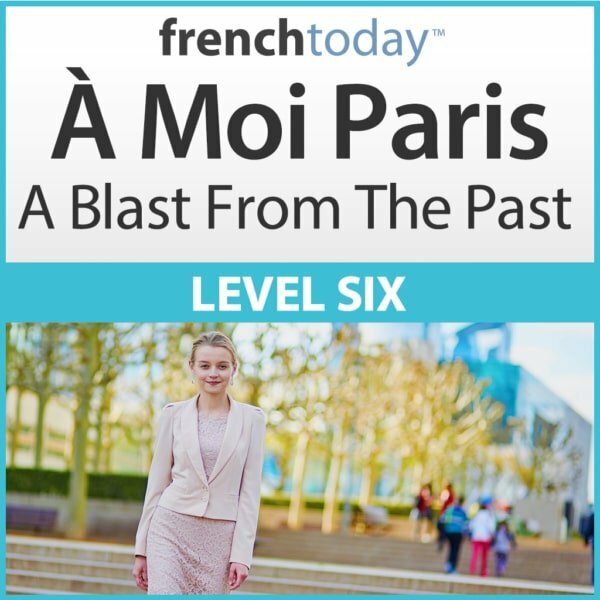 With my business I travel alot – so I find FrenchToday’s audiobooks extremely useful, when on a long plane flight, for example. It is marvellous having access to the text version of what one is listening to simultaneously, since, as we all know, written and spoken French are very different! Camille is very clear to listen to with her native-speaking, which helps one’s listening skills, and attention. Language everywhere is constantly changing; and FrenchToday keeps you up to date with how French is currently being spoken. Plus the attention to detail used with grammar etc., in each chapter, is extremely useful too. These audiobooks have allowed me to talk confidently with a number of my French friends, giving me the knowledge that I am pronouncing the text, in the right way! The A Moi Paris series is excellent. 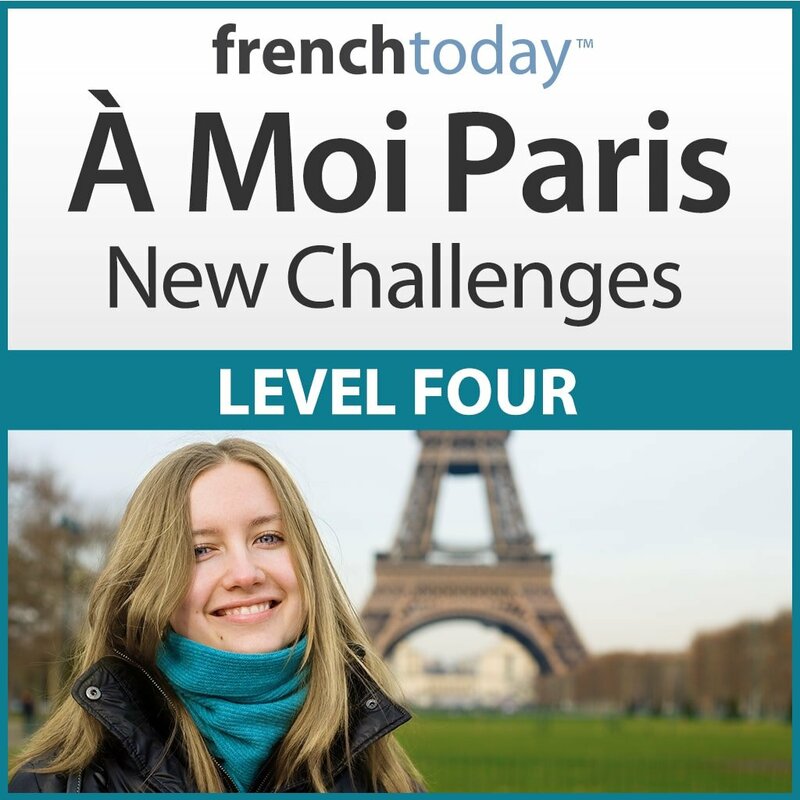 I have used it alongside other resources to develop and improve my French. The app is easy to use and the material high quality. Each book in the series represents a progression from the last and no. 6 has some challenging vocab and grammar but remains accessible. The one limitation is that it is all in one voice. Overall highly recommended. It’s hard to pick out one single article to praise as everything Camille and Oliver do are outstanding. And let’s not forget Leyla, another Camille in the making and cute as a button. I live in the US where one rarely hears French. It’s an uphill battle not to lose the language I love so much. Thus, I do my French Verb Drills; I follow Camille on Facebook, Twitter and of course, I read and study with the Audiobook Series. Daily. Even if just for 20 minutes.This year I’m also spending a week with a French teacher in France. Total immersion! I highly recommend French Today to anyone wanting to study French. Whether you are a beginner, and I know it’s tough. We Anglophones look for all the helper words that simply don’t exist in French. but once you’ve accepted that fact and get down to conjugating and using the French verbs, you are on your way. This my second audiobook purchase from French Today and I’m very satisfied. The new app makes it easy to use. I really like being able to go back 15 seconds at with a tap of the finger. The two story speeds are good. I use the slow speed first time through, then challenge myself with the faster speed. Great product. I try to spend 5 to 10 minutes a day learning French. I’ve used a variety of apps, books, CDs, etc. This one is the most fun. I’ve learned more from this series in a couple of weeks than I learned in using other products over many months. Another great product from Camille and Olivier. I own just about every audiobook they sell, and I love them all. As a French teacher who left the classroom to be home with my own kids (and then a home schooling mother), I am always looking for ways to maintain my French. To my pleasant surprise, the materials from French Today don’t just help me maintain, they really help me get better and better every time I listen. More than any text book, more than Rosetta Stone or any other software I have tried, Camille and Olivier have brought me closer than ever back to the level of fluency I had after living a whole year immersed in the home of a French family. The story of Marie and the gang throughout the years has made me feel like I have a whole new French family to engage with, and I thank Camille and Olivier for their work. When I first started ordering their products, several years ago, I was worried that they would be too simplistic, or too slow. 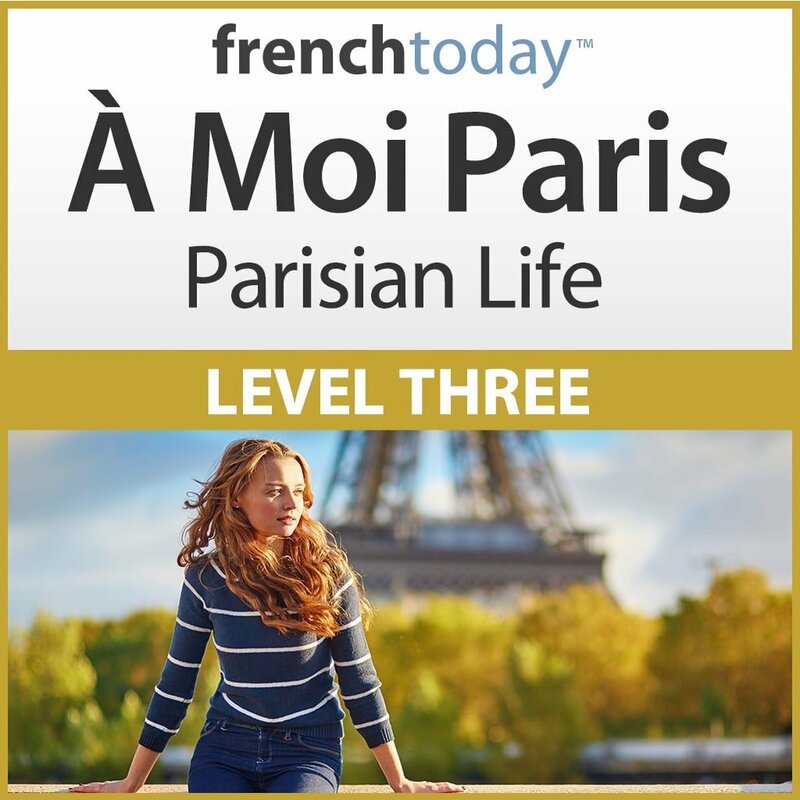 I am thrilled with the “street” French that Camille offers and I find that in terms of vocabulary and expressions, as well as pronunciation, even the beginning levels of A Moi Paris have something to offer me as a continuing learner. So so glad I found these, and I incorporate the material into the tutoring I frequently do. A gem, worth every penny. I’m working on Level 6 at the moment and it is perfect for an Intermediate student. The Slower audio is about 75% the pace of the Street audio which is fast enough to test me but not fast enough to confuse me. I like all the extra vocabulary which appears regularly as well. A fine effort! I’m already looking forward to Level 7. I have used Camille’s audio-books with great success to enhance my understanding of spoken French in an interesting context. I have always used the “Street” version to help with that. With this series, understanding is enhanced by the use of familiar characters and a consistent developing story-line – and of course Camille’s excellent clarity of expression. This latest book moves forward some ten years on, and like the others explores life, love, relationships, travel, work (and Paris) in an accessible manner. Thus, the vocabulary and usage of French for daily life by the main characters (Marie and her friends) both helps comprehension and equips the listener/reader with phrases and sentences for their own use. I have listened to this and previous books several times while driving to and from work. I find that little phrases or new words become more apparent with repetition (for me this time it was “bosser”!). I am very happy to recommend this book (and indeed all of Frenchtoday material) unreservedly. As a serious “self-study” student of French for the past five years, I have in my collection no less than a dozen French self-study packages prepared by various authors and publishers of repute. And when asked which package I would recommend to fellow seekers / learners of French, I’d say without reservation—the French Today À MOI PARIS series, now in 6 volumes. The 6th volume offers the same excellent pedagogical materials presented (like the previous volumes) in a most interesting manner—as narratives. Learners like me would find the audio features of the series very valuable in learning not only French, but FRENCH TODAY. I definitely look forward to the release of volumes 7 and 8 of À MOI PARIS before long.